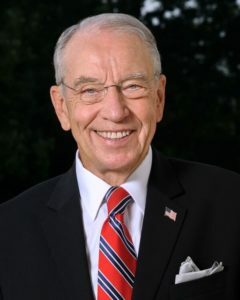 Ending the North American Free Trade Agreement would be, in a word, “catastrophic” to the Iowa economy, according to Iowa Senator Chuck Grassley. The trade deal between the U.S., Canada and Mexico was reopened last summer for renegotiation. President Trump has made repeated critical comments about NAFTA and Grassley says the White House is well aware of his stance on the subject. “Not only Senator Ernst and me but most agricultural state senators have made very clear how important NAFTA is to prosperity in agriculture,” Grassley says. “Just in Iowa’s case, Mexico would be the leading importer of Iowa corn.” Grassley remains optimistic the president will preserve, not scrap, the agreement. “I don’t think that he’s going to end NAFTA,” Grassley says. “I think there’s tough negotiations going on now for the next two months.” Grassley explains why there’s a looming, unofficial deadline to complete efforts to fine-tune the trade deal. President Trump mentioned NAFTA in passing during his speech Monday at the American Farm Bureau convention, only saying he’s “working very hard to get a better deal for our country and for our farmers and for our manufacturers.” NAFTA talks resume later this month between the three nations.